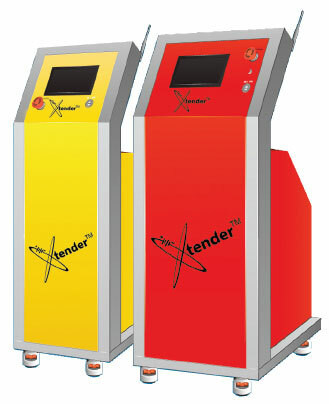 Flight Systems Industrial Products exhibits the Xtender Battery Regenerator at ProMat in Chicago, Illinois. ProMat is the biggest material handling, supply chain and logistics expo in North America. Attendees browse over 800 exhibits by companies which provides services such as material handling solutions, inventory management, dock & warehouse equipment and supplies, automatic identification systems, warehouse management and more.